The Manchester derby is always filled with soaring emotions that leave a mark on every fan associated with the two Mancunian behemoths. And Saturday’s high-profile clash is certain to live long in the memories of those who belong to the red half of Manchester. A shambolic United display in the first 45 minutes transformed into a treat for the Red Devils’ fans, as the Old Trafford outfit clawed their way back to overcome a 2-0 deficit and stun the noisy neighbours. But it was the dressing room talk that sparked the sensational comeback, and Jose Mourinho’s clear-cut instructions that he didn’t want his men to look like ‘clowns’ at the end of the derby. However, according to the report by M.E.N, the Special One did not have to instigate his men any further, as the complete squad was already aware of the fact that they simply couldn’t let City win the title at their home turf, especially against themselves. 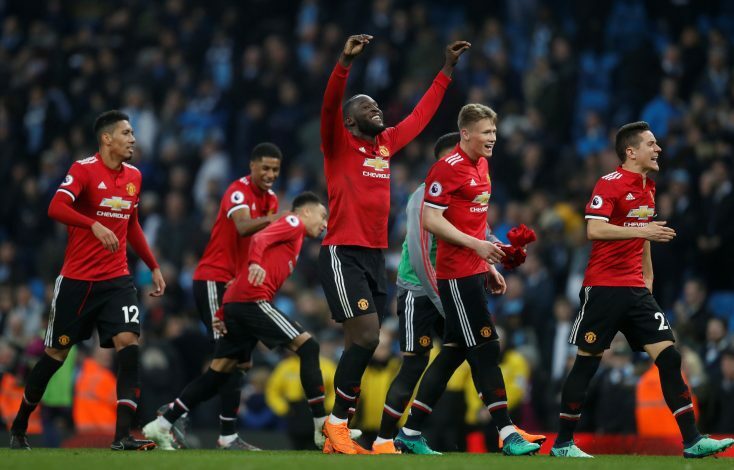 The report claimed that every single player was ‘vocal’ at the break as they teamed up to stop the Cityzens in their tracks, and that it was senior members, Ashley Young and Michael Carrick, who fired up the squad. “Everyone [spoke out],” said Ander Herrera after the game. “Of course the oldest guys with the most experience – Ash, Mike was in the dressing room – they have the power in their words but everyone was talking. “We didn’t talk too much about tactics, just about our pride and about the club – this club you can never underestimate it. Our pride on the pitch and that our fans were going to have a difficult night if we got beaten.